Yes which is why Minecraft is getting new versions and Updates constantly. Ok i know they just canceled all console edition games except ps4 and replaced them with bedrock but the game is still huge. I mean, why would microsoft still be supporting and promoting the game if it is just as dead as people say it is. Or just look up why it isn't dead on youtube, my explanation sucked. Anyway the line is probably a huge moneymaker which is why it is still getting releases. Personaly, unless we get new younger (slightly) ninja who are mostly different from what we have now, I want Ninjago canceled, or at least the main line keep the legacy sets. The theme's story feels like it has reached its end and so have all the character arcs. Unless we get a new set of ninja, kinda like how when we got loyd except more and older, then the line is just going to keep getting stale In my opinion. The whole oni/sons of garmadon plot feels like the big climax similar to the overlord plot. It feels like the main characters (except jay and cole(sometimes)) have matured enough to take on their own students. Then lego gets their semi reboot and the fans can see how much wiser the ninja really are. Definitely. G2 was truly starting to pick up and the next wave could have been awesome. For the most part, the sets were as good and unique as they've ever been(lets forget ketar), and there was almost no way the bionicle team could have messed it up. From the few comics we got, the world was getting fleshed out and characters were getting expanded upon. But alas, Canceled!!! I agree with you, but the reason I personally don't want Ninjago to be canceled is because, as I may have said already, I don't believe they will get another theme as good to replace it. Elves and Nexo Knights just got canceled, and as for now we have no comfirmation that they even have something to replace them. When Bionicle was canceled, we got Hero Factory to replace it. When Hero Factory was canceled, we got G2. When G2 was canceled, we got... Nothing! So, if they can get a theme that is at least as good to replace it, I wouldn't mind it being canceled. But if they don't have any actual replacements... I'd rather keep it. A lot of themes are already going to go soon, but If I had to pick one to go right now, I'd say either Overwatch or Harry Potter. Overwatch sets aren't great and doesn't tell a story like the Star Wars sets do. I think a minifigure series would've been better. As for Harry Potter... The sets aren't like they used to be. Only time can tell if they'll get better... That is, if it even continues. @justabioniclefan that's true.Overwatch was kinda popular only around the 2016's and they gave it to us now... Harry Potter was entirely brought back only cause of that bad movie.Most sets are just remakes that we had a thousands times before. But I've realized as long as it's popular with the majority (not us) , Lego will keep pumping the remakes and boring themes out. As for a theme that might be better...I'm pretty sure Disney would make a great one. There's so many upcoming movies (the best probably Aladdin and Toy Story 4), and judging from the Disney castle... The sets would be pretty great. Disney never really stuck around long and the movies are super popular, so they wouldn't be an outdated theme. And just t pump up more licenses. 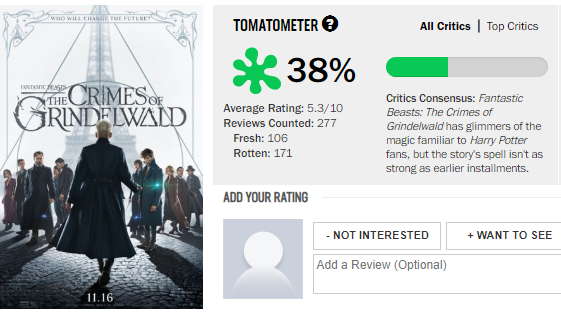 Harry Potter wasn't needed back when there are so many other themes that actually need to be brought back! We needed LEGO Castle back, not another Hogwards Castle back. I hope they don't do any more Harry Potter sets in 2019! As for what I would cancel, it would be either DC Super Heroes or Star Wars or Minecraft or Overwatch. Debatable. I'm most certainly biased, but the D.Va and Reinhardt set is easily in my top ten favorite sets I own. doesn't tell a story like the Star Wars sets do. Even more debatable. With LEGO's "you make your own story" marketing strategy, Overwatch works much better. Each character has their own, unique background, abilities, and motives, while Star Wars limits you to their story. You can't "make your own" without breaking canon. I think a minifigure series would've been better. Both could work very well. I too would want a series, but I'm really happy with the sets. It's still massively popular, you just won't hear about it as much. Look at Overwatch League if you don't believe it's big. And we got Minecraft pretty late too. Most sets are just remakes that we had a thousands times before. By which you mean one or two times before. That'd be like criticizing the entire Legacy wave from Ninjago for being the same sets but, in most cases, better. Never thought I'd live to the day where I'm defending LEGO Harry Potter, which I still want to be canceled. Lego will keep pumping the remakes and boring themes out. I'd argue with a game based on characters LEGO had to become incredibly creative with their sets to make them appealing to the target audience, the people who play the game. Much more creative than many sets in Ninjago and City and other themes. I'm pretty sure Disney would make a great one. We'll probably be getting some Toy Story 4 sets. At least one, I'd guess. We needed LEGO Castle back, not another Hogwards Castle back. Is "we" the non-license fans, and "need" equivalent to "want?" I guarantee that a Hogwarts would sell better than a plain castle though I still don't want Harry Potter. This is the exact excuse the LEGO Group uses. Actually this means like 8 times. Most people seem to like those Millenium Falcons which keep being produced, but for me personally, I'm bored of it. Is it an excuse if it’s true? Actually this means like 8 times. Harry Potter has been around seperate three times, there’s much less than eight of each set. than eight of each set. I was talking about the Millenuim Falcon. But talking about Harry Potter..
6 sets... not 8, but not very far away from it either. But it still would be an exaggeration to call them repetitive. It’s a classic part of the movies/books (I even like the Express), and there was, what, five years in between some of them? I'm going to set @LegoDavid off and remind him how only 2 Order of the phoenix & The half blood prince sets were made. Actually not. The 2nd one that seems the same was actually motorized with Power Functions, when the first was a regular set. I can agree. The Hogwart's Express is an iconic vehicle from the Harry Potter series. Plus if someone wanted the LEGO set of one, but was too late, they can await for the next version of it (if Ebay is too pricey) or even make their own one. 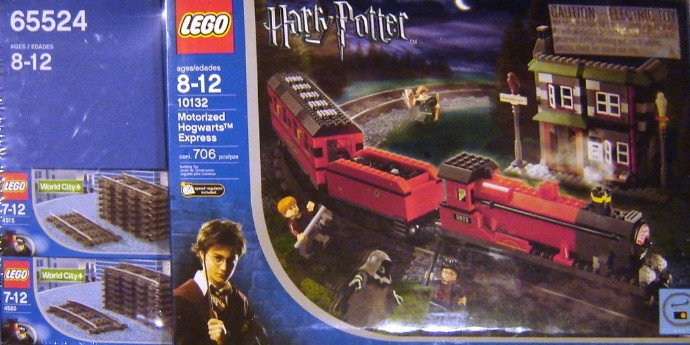 Each set also have a different take on the Hogwarts Express, with other parts that are unique to it. 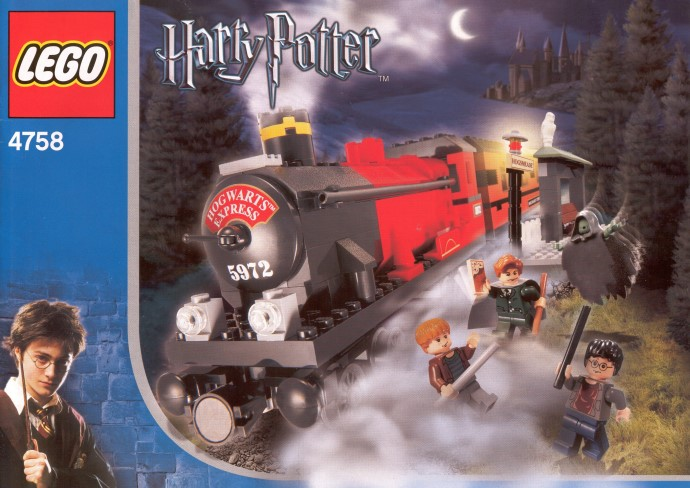 4758 is from Prisoner of Azkaban and gives us a Hogsmeade platform, though minor changes are seen, it's still unique. 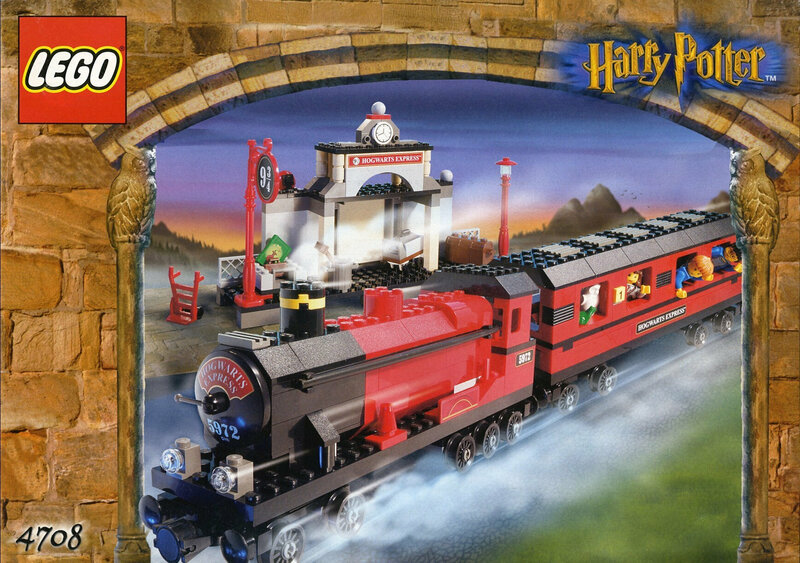 10132 is the first to have a tender (or a coal car), and can be motorized to move around the rail, it also contains a Hogsmeade station (I believe), it's still set in Prisoner of Azkaban. 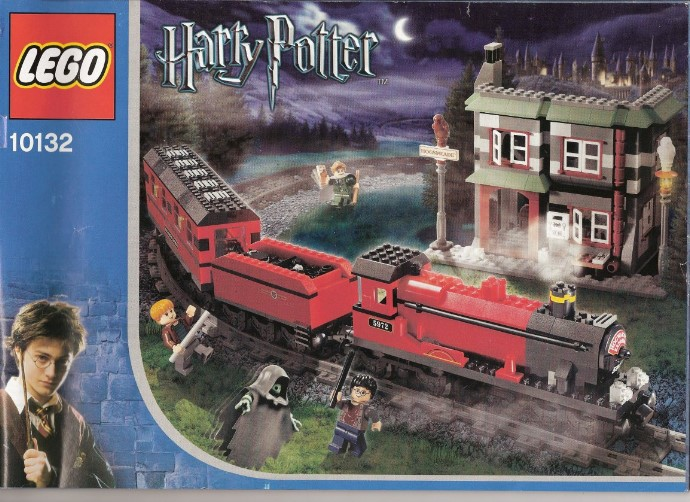 75955 Is from Prisoner of Azkaban again, but includes Platform 9 3/4, the train has the new wands, a pretty good Dementor minifigure. The set is even buyable right now. Because they are iconic only to LEGO fans of the time. Harry Potter is iconic to many generations. Just because It's iconic doesn't mean we need to have it remade so much. I want LEGO to remake what they have created, not what someone else has created. Just a tidbit of info, it takes about a year and a half to design a single new set. 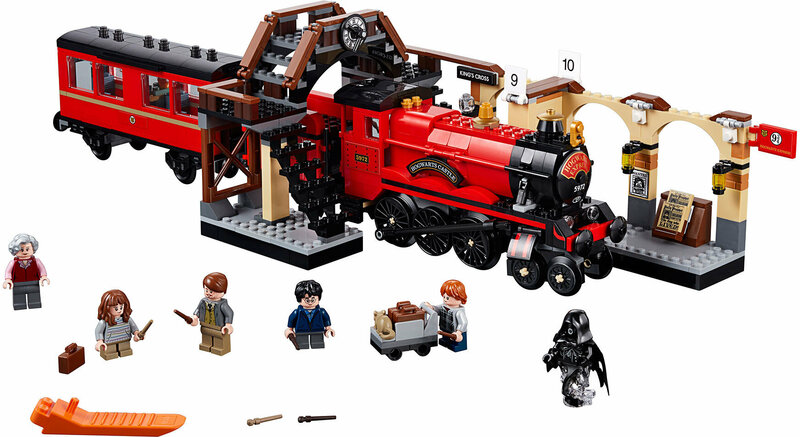 Lego caught on, but it was a while before they could release the sets, due to the designing, new pieces, new prints and leaks. It's such a cool theme, but really not for lego. I mean, Widowmaker? Not a character for young children. The fact that Lego is making themes off of video games is, well... Slightly disturbing. Okay, yes, they do minecraft, still, but Minecraft is a good game, oriented on survival, creativity, and teamwork. Overwatch, on the other hand, is focused on killing the people on the other team to win. Yes, it's virtual. But it shows kids that killing is okay. I mean, we're literally talking about ending another person's life. So Overwatch, in my honest opinion, should be canceled. Again, it's a cool theme but just not Lego's style. Whether or not I like it doesn’t change the fact that it’s iconic... This argument can also branch into, say, Star Wars, a series I absolutely love. Sure, the first few would be annoying, but the last Hogwarts Express has come out in 2010 (I think). That’s an eight years difference. Building techniques have vastly improved in that time, and a remake is justified. I mean, Widowmaker? Not a character for young children. I’d be interested in other skins, she’s my third favorite to play. But nothing new. We’ve had Portal, Minecraft, Midway Arcade, and Battlefront. Overwatch, on the other hand, is focused on killing the people on the other team to win. Overwatch, I’d argue, is much more based on teamwork than Minecraft ever will be. The point is to capture and protect objectives as a team. Killing is just a strategy. Also, LEGO doesn’t advertise be killing. They advertise the action and design, much like Star Wars, Harry Potter, Lord of the Rings, and more. Each involves killing, but isn’t directly mentioned but LEGO. Whether or not this is relevant is perspective. LEGO, who released Simpson’s and Big Bang Theory? I’d say Overwatch is a step down from hose two.